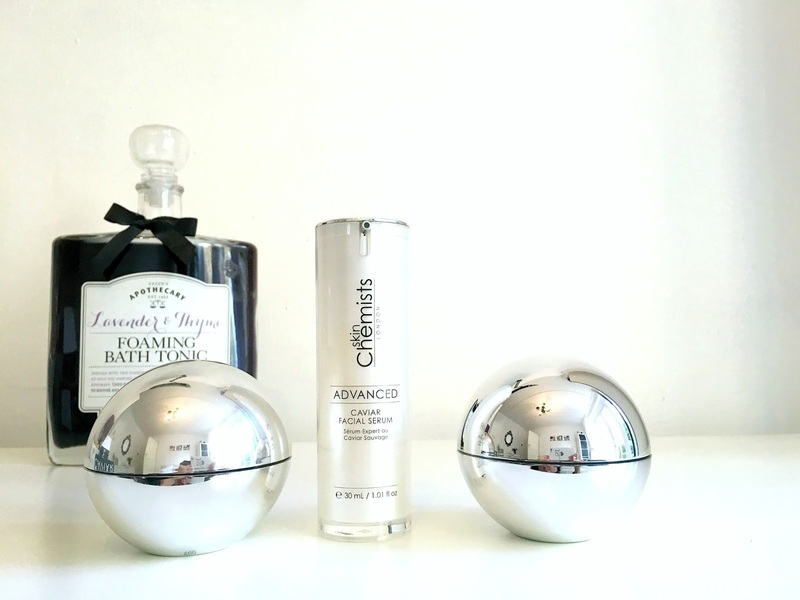 I cannot express how excited I am about the skinChemists range. I have always believed that skin care should feel glamorous and this has certainly been captured throughout the Wild Caviar collection. 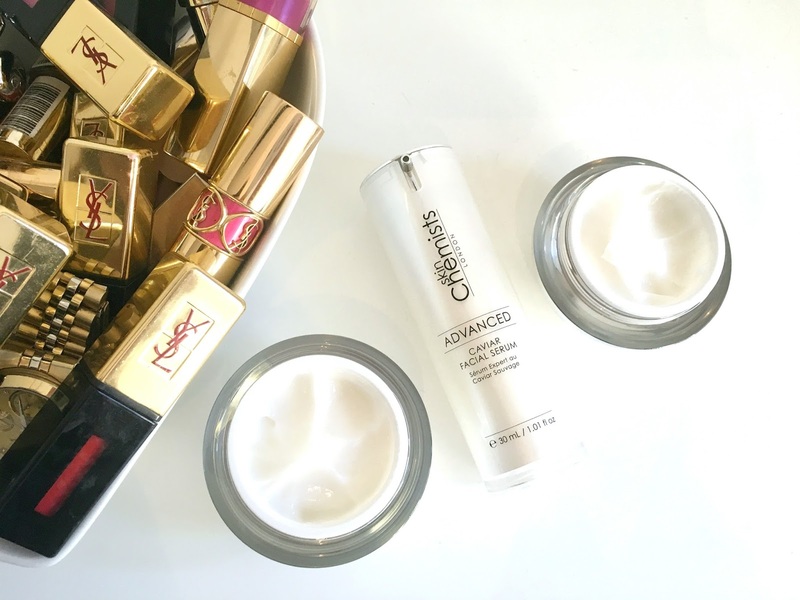 So, what makes the skinChemists Wild Caviar range so special? The caviar protects your skin against damage from the environment while the alpine rose stem cells improves the skin barrier, keeping your skin protected. Now when I first opened the packaging I was so impressed with the unique product design, the words elegant and lavish came to my mind immediately and I was still in for a pleasant surprise when I caught the scent of the three different creams. 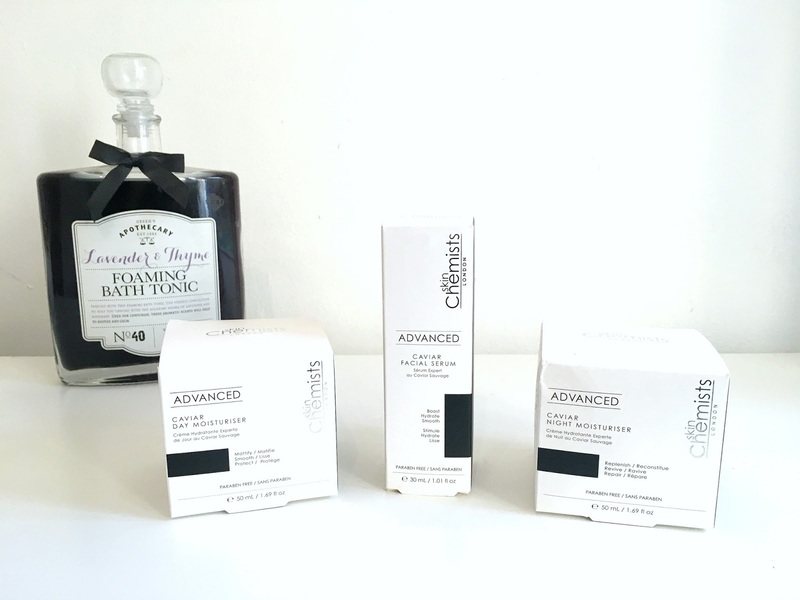 I have been lucky enough to test the Advanced Caviar Day Moisturiser*, Advanced Caviar Facial Serum* and the Advanced Caviar Night Moisturiser* and each product has a strong peach scent. I'm don't know about you but I have not really tried many peach scented creams so I was pleasantly surprised, the scent is rich and light without smelling sickly or cheap. I first tried the Advanced Caviar Night Moisturiser before going to sleep, I removed my make-up then I gently applied four small dabs of the cream on my forehead, cheeks and chin. I slowly massaged the cream into my skin and I really found the formula easy to blend, it had a soft and creamy texture but what stood out the most for me was the finished look. I was really surprised to see my skin didn't look oily from the cream, my skin tone looked naturally even and matte - for once! As you all know, I struggle with oily skin and moistursers and serums tend to increase this but I was pleasantly surprised how well this worked with my skin. With all of my reviews, I am completely truthful and with the skinChemist range, I can honestly say that this has to be one of my top 3 skin brands that I have ever tried.